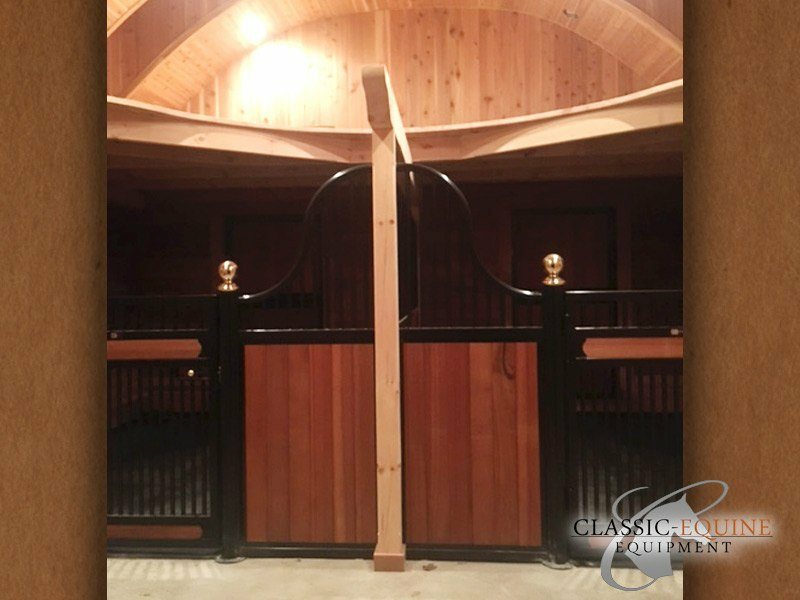 Project Details: Classic Equine Equipment started working with Corine and her Contractor to help come up with a solution to her limitations in the very beginning. 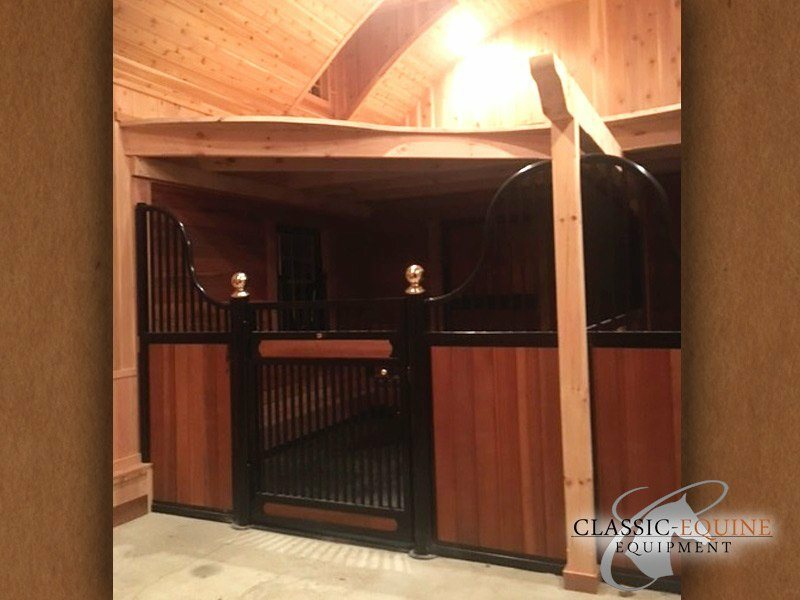 Classic Equine Equipment and her contractor worked together on a custom design Stall system that was a perfect fit for Corine and her beautiful barn. This is a perfect example of how Classic Equine is able to work hand in hand to find a cost effective, high quality solution that is second to none. Product Specs: The Lowrise European Stall front has the style and appearance desired for this particular project. 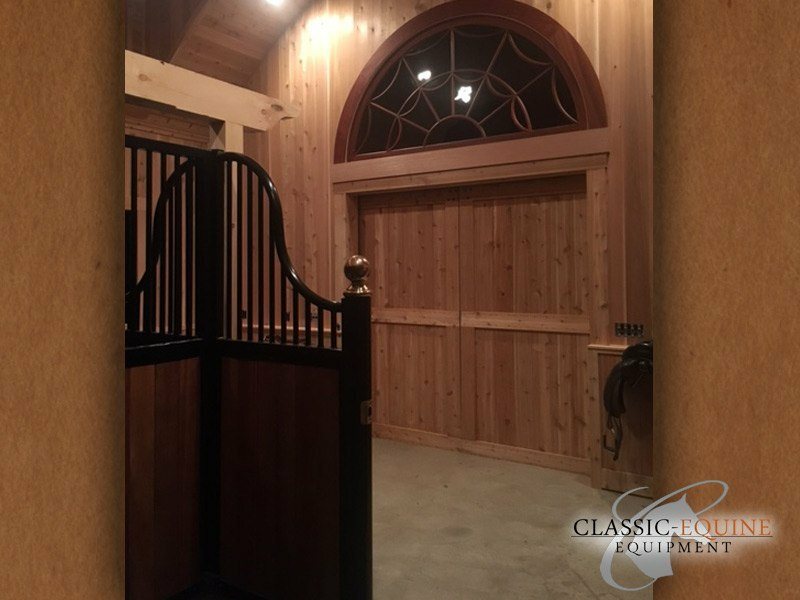 This heavy-duty, solid welded stall front pairs extremely nice with the elegant curves on the interior of this barn. A full grill door was choosen to maximmize airflow and add to the overall appearance. Solid brass accent finials on the door posts were then addedto set this front apart from the others. Lastly, Classic's Brazillian Hardwood was handpicked for the infill of the stalling equipment.